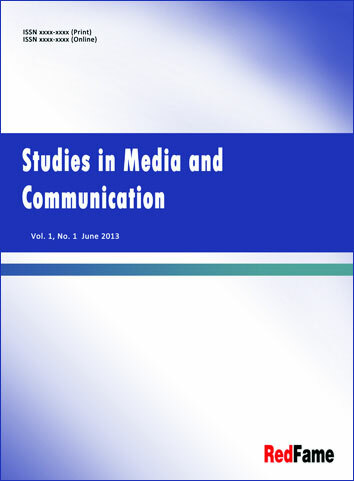 Abstract: With the advent of Web 2.0, new forms of journalism arose, paving the way for the implementation of computational and automatization processes in all aspects of mass communication. As such, chatbots have already been adapted in the news media platforms bringing forward a series of issues and effects upon journalistic narrative, content and professional practices. This paper presents the role of chatbots and their characteristics, discusses the application of different types of chatbots in the news media and presents a theoretical overview of the advantages and disadvantages regarding their adaptation in journalism, as well as key ethical concerns connected to the emergence of this new journalistic narrative. Abstract: Companies are vulnerable to crisis. Crisis are a threat to organisational reputation and can harm stakeholders physically, emotionally and financially. One key technique to ensuring the happenings of crisis are minimised is communication. Communication plays the role of ensuring the reputation and credibility of a company is safeguarded. The modern way of communication and information sharing has been a vital part for businesses to survive. Emergency situations in airlines are inevitable and as such the company’s ability to communicate through its online sites is critical to averting and combating future crisis. As one of the famous airline companies in America, Southwest airline is present on all social media platforms to connect with its stakeholders. This was evident in its crisis management strategy during the 15-hour power outage in July 2016 which led to the cancellation of over 2.000 flights and delayed 250.000 travellers. The innovative communication strategies and tactics employed by southwest communications team reduced the level of damage the crisis could have caused. This paper analyses the airline’s communication strategies and tactics in the crisis and its impact on victims of the crisis.